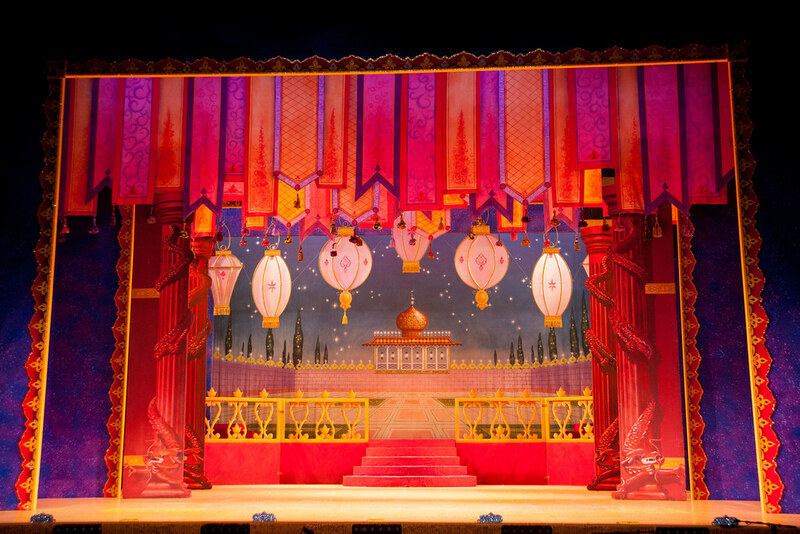 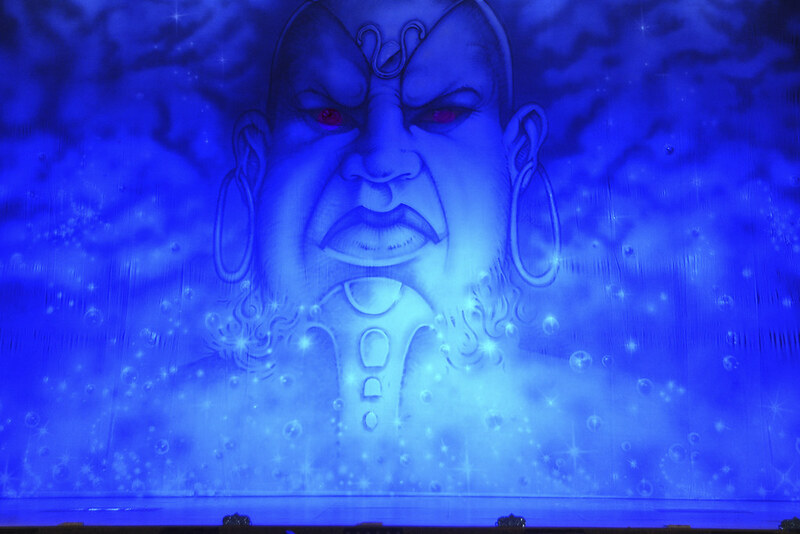 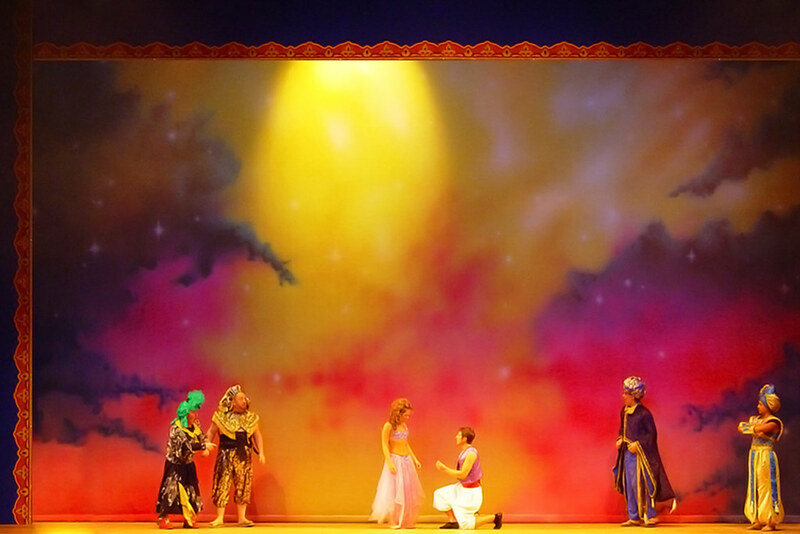 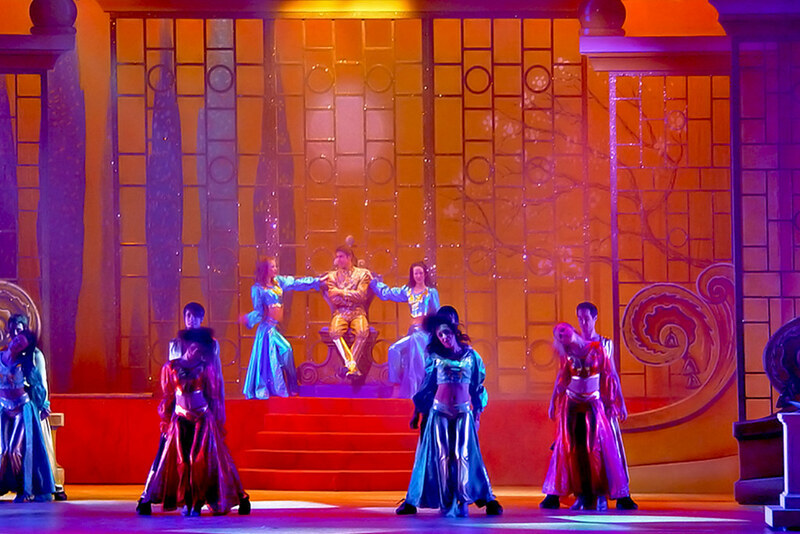 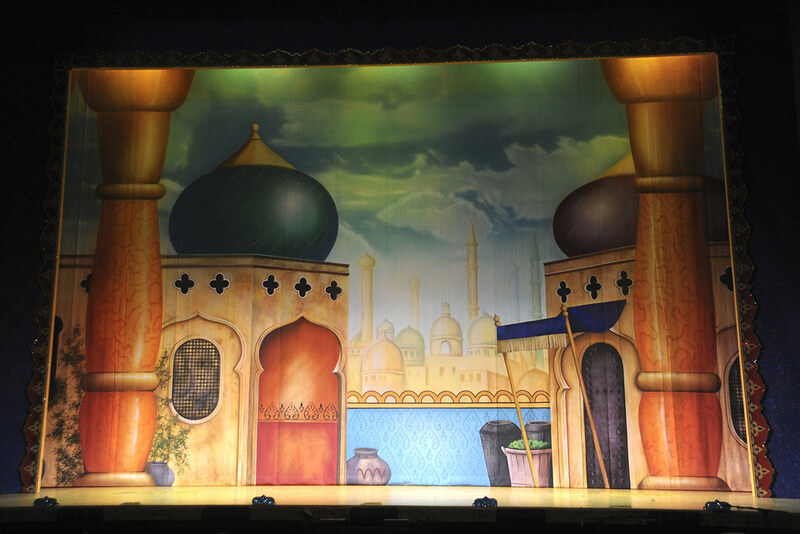 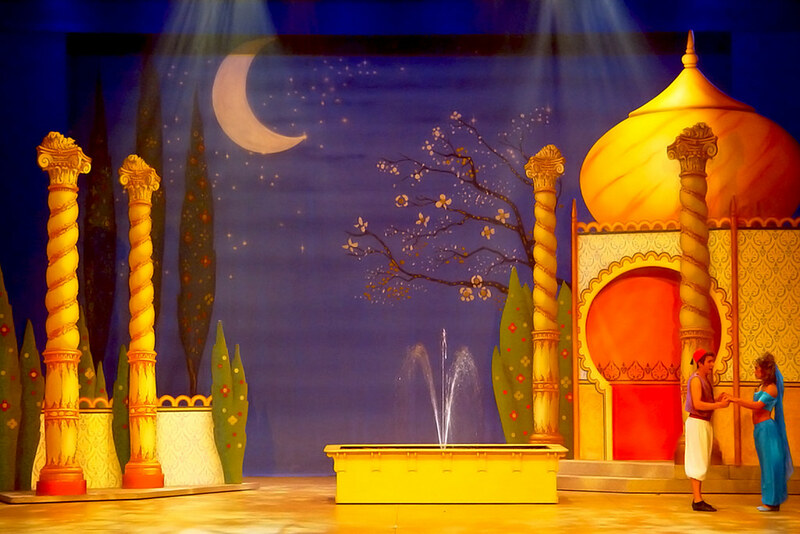 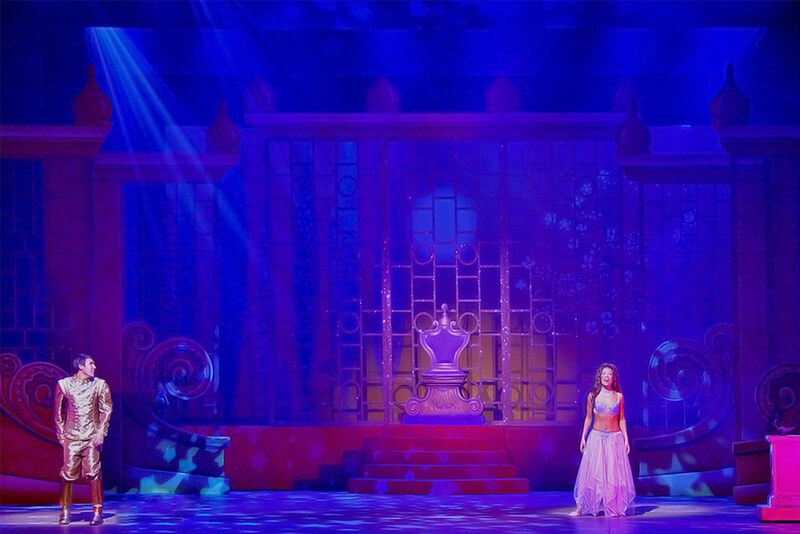 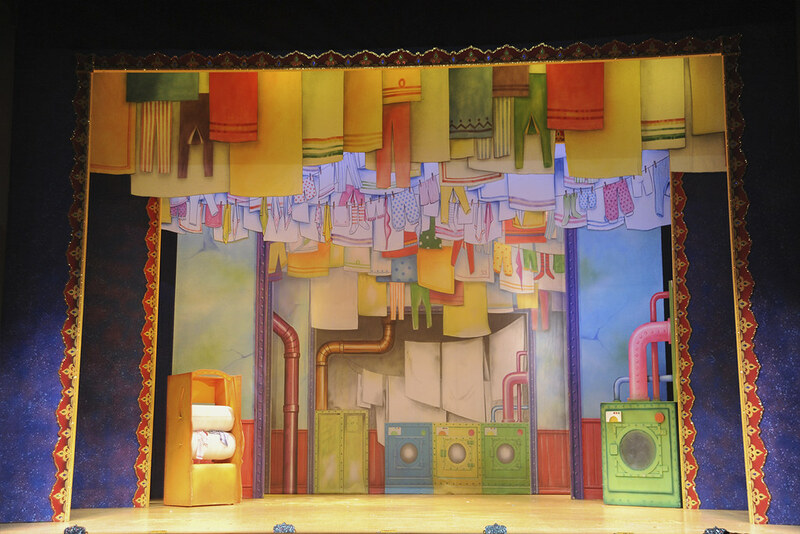 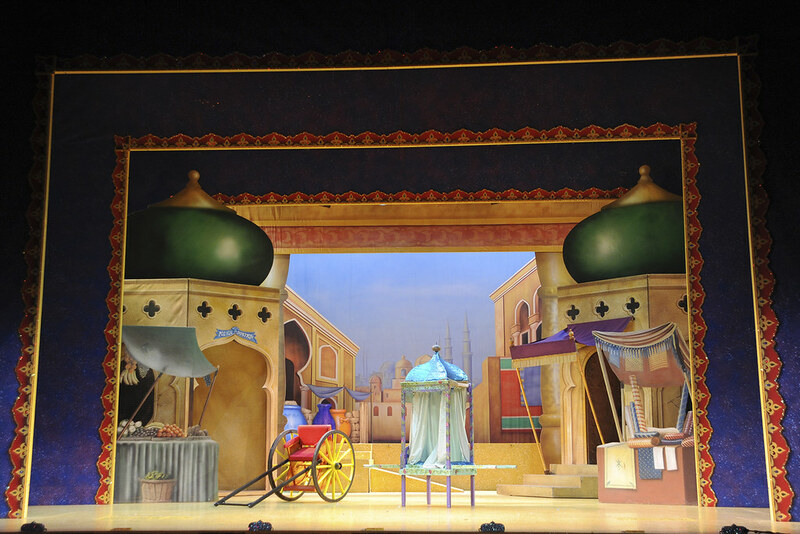 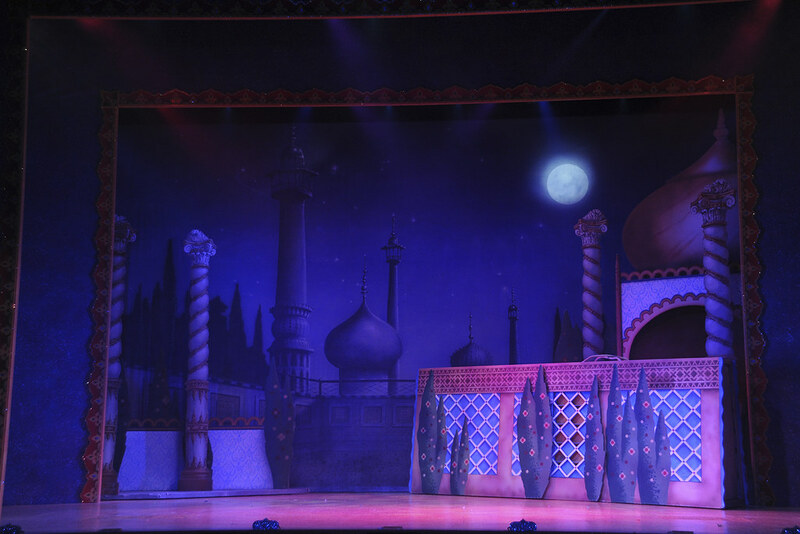 This is our largest Aladdin set. 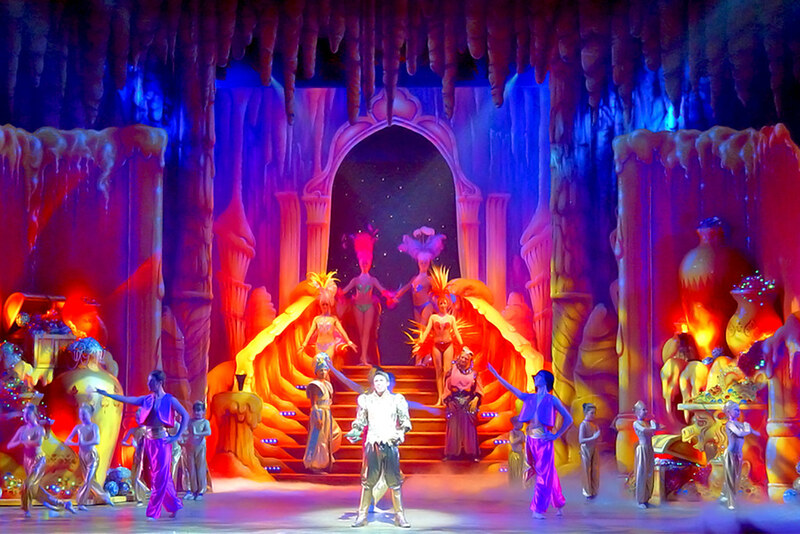 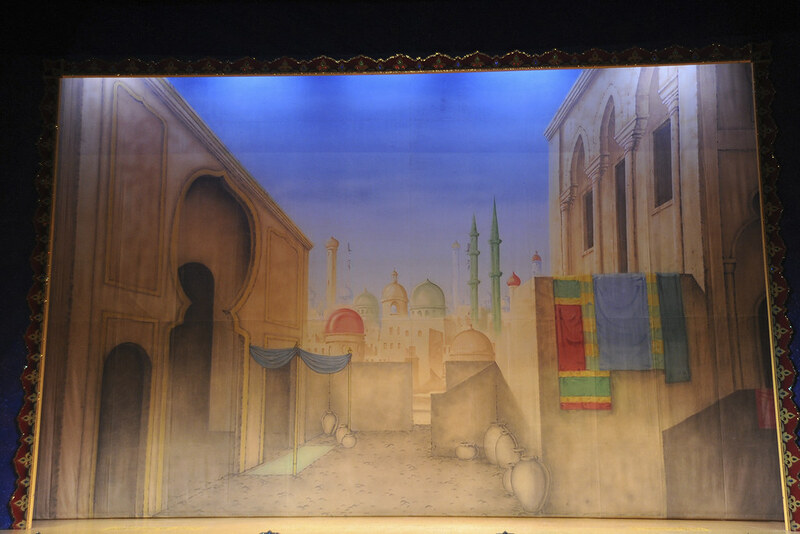 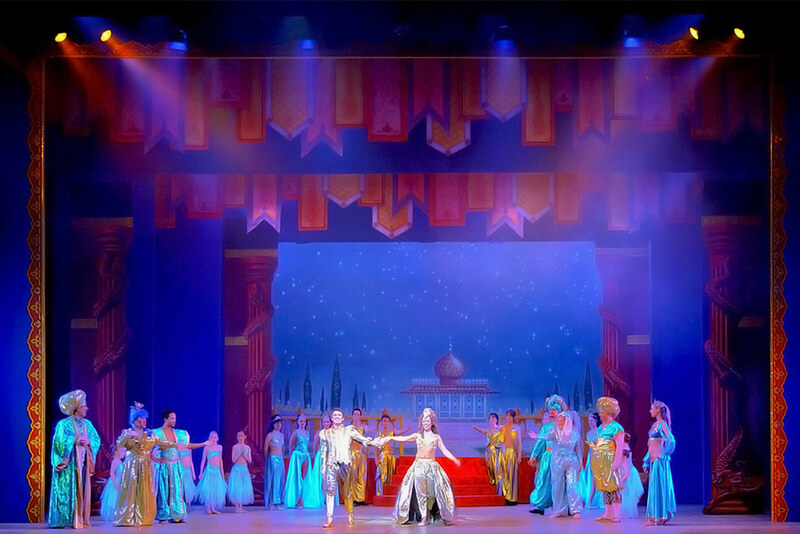 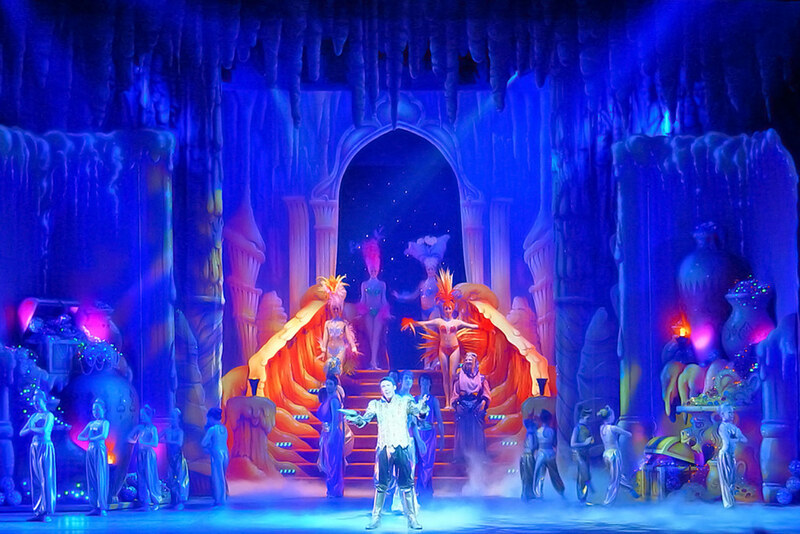 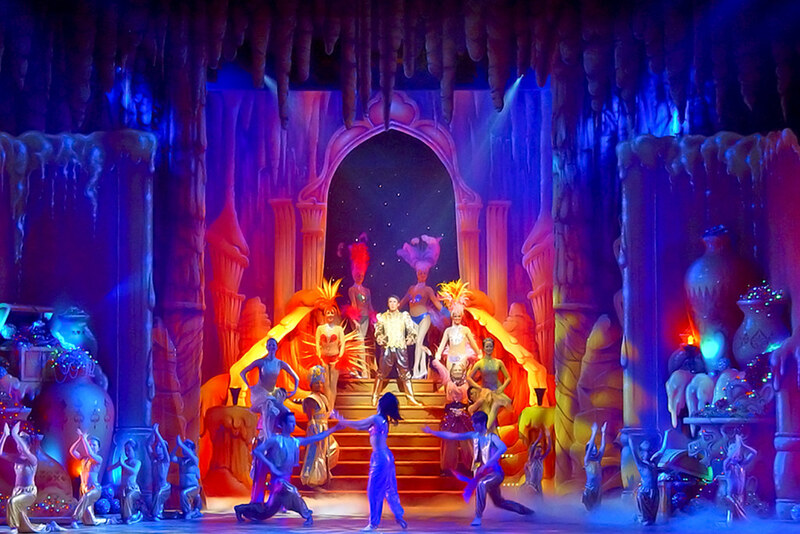 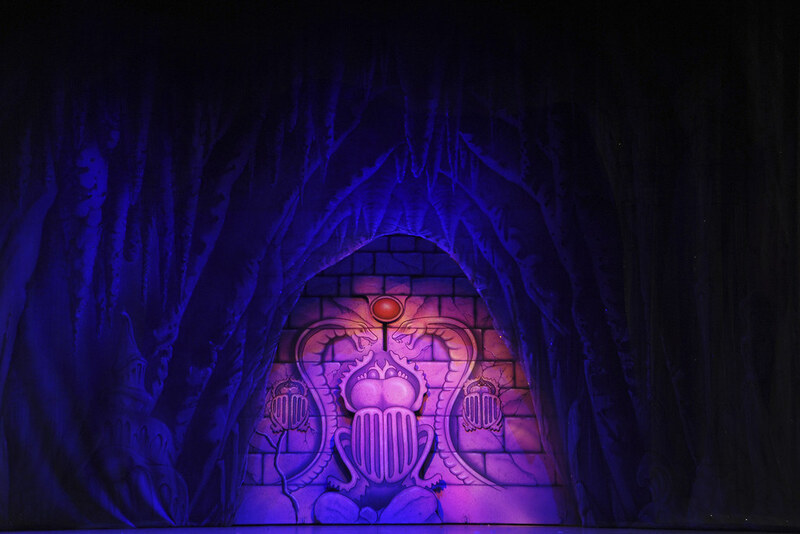 It is arabian in style with a traditional finale cave end Act 1 or Egyptian Tomb. 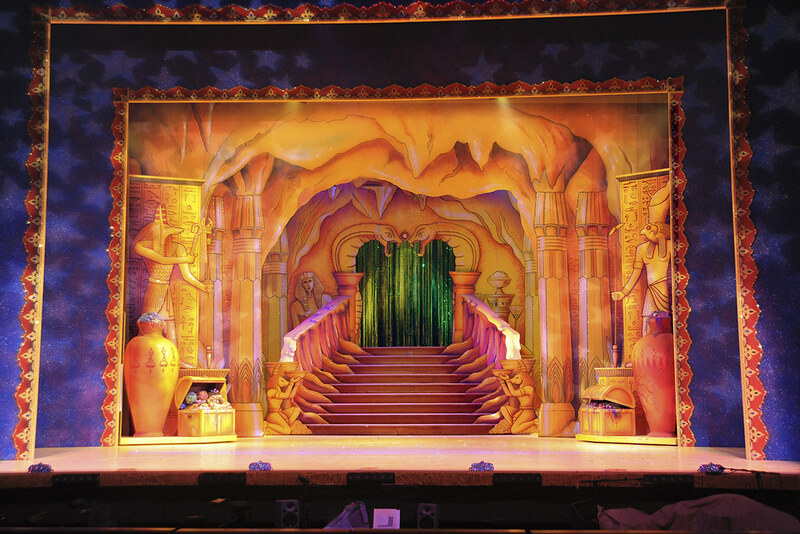 It was orginally built for the Lowry Salford but has been adapted for venues such as Theatre Royal Norwich. 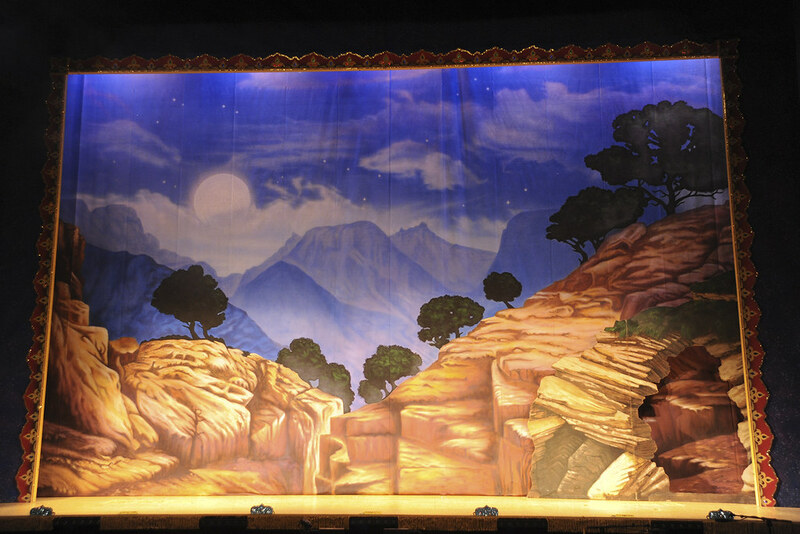 Cloth lengths are 24ft (7.31M).